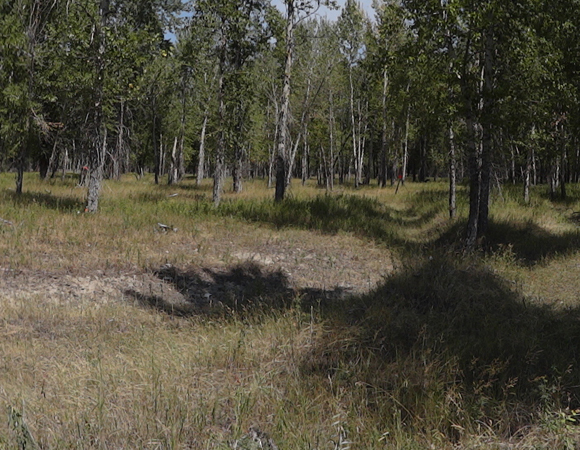 In August of 2013, UNAVCO supported the second half of a two-part terrestrial laser scanning (TLS) project undertaken by scientists at the University of Montana. The August survey took place on the Bitterroot River in Western Montana. The first half of the project was conducted on the Santa Maria River in Arizona in the spring of 2013. The goal of the research is to better understand how rivers change due to interactions between water flow, sediment, and vegetation. The TLS instrument will provide high resolution, 3D images of riverbed topography and vegetation which scientists will use to make detailed observations about each. Bar topography and vegetation growth are closely coupled in many rivers and are affected by water flow. The researchers will compare the data they gathered on the Bitterroot River to the data they gathered on the Santa Maria in Arizona; the latter is a “dryland” river, which scientists believe experience greater feedbacks between vegetation and topography than rivers like the Bitterroot located in wetter locales. 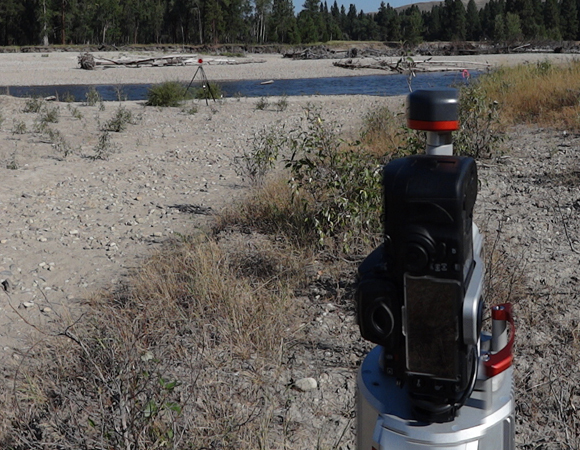 Multiple high-resolution scans were taken with a Riegl VZ400 TLS instrument from three separate dry river bars along the Bitterroot. These scans captured individual plants (including tamarisk, cottonwood, and willow) and included the immediate topography around each plant. The scientists will use specialized software to separate the plant points, or “returns,” from the ground returns. Measurements taken from these point clouds will be used in models that predict how vegetation and topography affect each other in the river environment. Analyses of the relationships at the individual plant scale are critical to understanding riparian ecosystems on the whole and influence decisions about aquatic habitat, stream restoration, and resource management. As with the first half of this vegetation study, in Arizona, scanning in vegetated areas posed a significant challenge. The presence of many shrubs and trees made it difficult for the scanner to have direct line of sight to all of the retro-reflective targets needed for control in the point clouds. In addition, obtaining quality GPS measurements was a challenge due to limited skyview. These GPS measurements are taken from atop each reflective target and are crucial for georeferencing each point cloud collected.